Good episode fellas, I liked it. Very concise. My Dad always said something about ADD. He would draw an analogy to your bank account. He said that if you don’t put money in but always take money out (in other words you don’t ‘pay’ your account) you end up with a deficit. He would say that kids had an attention deficit because no one paid them any attention and eventually it became a disorder. His theory was we just need to pay more attention to kids and maybe they won’t develop the disorder. Not a very clinical view, but interesting nonetheless. Definitely not a clinical response, in fact a very ignorant response from someone who has no clue what ADD actually is. ADD has nothing to do with lack of paying attention to kids. Seriously what a idiotic statement. And while I respect that you have an opinion. Not a very good retort. Being that I think a fundamental portion of the issues with America kids is that parents don’t give a crap, I’m inclined to agree with Jesse’s dad. Granted it’s a wide swath, but not untrue. 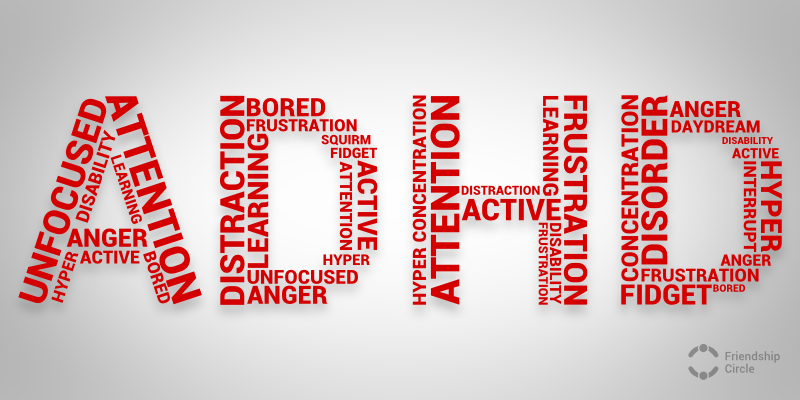 Look at the way the French treat their kids and the resounding lack of ADHD cases in children in Europe…think there’s maybe some correlation? If you’re going to dog an idea, I suggest presenting a counter argument instead of perpetuating combative diversity….it’s better revived if there some substantial evidence. There is no counter argument to stupidity. If Jesse had actually presented an idea I would have been happy to address it. However, Jesse’s dads response is an impulsive shoot from the hip cavalier statement from an uneducated individual. A statement from someone who has no clue what ADD is, what causes it, how its treated or how it’s caused. I responded with an equally adequate statement and I stand behind my comment 100%. The fundamental portion of issues with Americas kids has to do with their parents telling them that someone is sleeping and not dead, it has to do with kids receiving “participation” trophies and not learning that sometimes people lose, not everyone gets to win all the time. Life is unfair, life is rough, and that’s ok.
ADD is definitely over diagnosed because its an easy out for parents who just want to over medicate their children and not parent. That doesn’t mean that there are those children or adults that actually do suffer from ADD. ADD HAS NOTHING to do with parenting style or paying attention to children. Please for the love of god. Go educate yourself on what ADD actually is before coming to some media based un-scientific response to a neurobiologically-based developmental disability. ADD is a genetically transmitted chemical imbalance or deficiency in certain neurotransmitters in ones brain. Parents and teachers or lack of parenting and teaching DOES NOT cause ADD. ADD has nothing to do with parents not giving a crap. ADD is when one fails to give close attention to details or makes careless mistakes in schoolwork, work, or other activities, someone who often has difficulty sustaining attention in tasks or play activities. It’s someone who often does not seem to listen when spoken to directly or often does not follow through on instructions and fails to finish duties in the workplace (not due to oppositional behavior or failure to understand instructions). Someone with ADD often has difficulty organizing tasks and activities, often avoids, dislikes, or is reluctant to engage in tasks that require sustained mental effort. Someone with ADD is often easily distracted by extraneous stimuli, is often forgetful in daily activities. ADD IS NOT someones parents not paying attention to them. That’s poor parenting. Thats not ADD. I don’t think anyone is saying that EVERY case is that parents don’t give a crap. I also didn’t say that there weren’t cases in Europe, I was only saying there are less of them. Your thought process led to the same place that Jimmy and I landed in our discussion: it’s genetic, it does exist, and people who just wanted to push their child’s impulsivity off onto a medication to fix instead of being involved in their child’s treatment. I don’t think anyone is downplaying mental disease or ADD, just downplaying the response of the OVERWHELMING amount of parents who tend to disconnect and not be active in their kids lives. Then act annoyed when their kids act out and respond with medicating their kids, which obviously the drug companies love more than anything. I do think there’s a better solution than name calling though, Matthew. For someone who wants people to be more accepting of their viewpoints, you sure have a way of bringing people into your mindset. Your second answer, while passionate, was a much better conversation starter than your first. Hi Matt, thanks for listening. If you’ve listened for long you’ll know that we don’t claim to be experts on any of the topics we discuss. In fact just the opposite. We do this podcast because we want to explore subjects that we don’t know much about. We do some research and then discuss. We have always intended our podcast episodes to start a discussion, not finish it. Every time we publish one I always think we left out so much or didn’t cover a certain aspect of the topic. You rightly point out that my dad didn’t know much about ADD. That is absolutely true in both a clinical sense and a personal sense. Growing up we knew some kids who were on medication for ADD but no one that we were really close to. I was personally never diagnosed but I did have a lot of trouble focusing on tasks as a child and teen. I think my parents may have suspected I had ADD, but they never sought treatment. Unfortunately I wasn’t able to be part of this particular episode so I didn’t do any research for it. And as I mentioned above I don’t have much personal exposure to it. However, based on your passionate and knowledgeable posts here, I suspect you may have experience with ADD, whether personal to you or maybe in your work. Since we are not experts, and almost certainly didn’t cover everything in the episode, I would be interested in what you know. If you know stuff we don’t know please share. If possible use actual science. Do try not to insult people I loved though. My dad genuinely cared about people and he would have been sorry he insulted you inadvertently. Also, I am sure he was referring to those kids who were just poorly parented and not those who had a real disorder. We can’t ask him though because he’s been “asleep” these thirteen years.